It's not often that I'll recommend a frozen pizza because there are just so many good neighborhood pizzerias to choose from and because making a grill pizza is so easy. 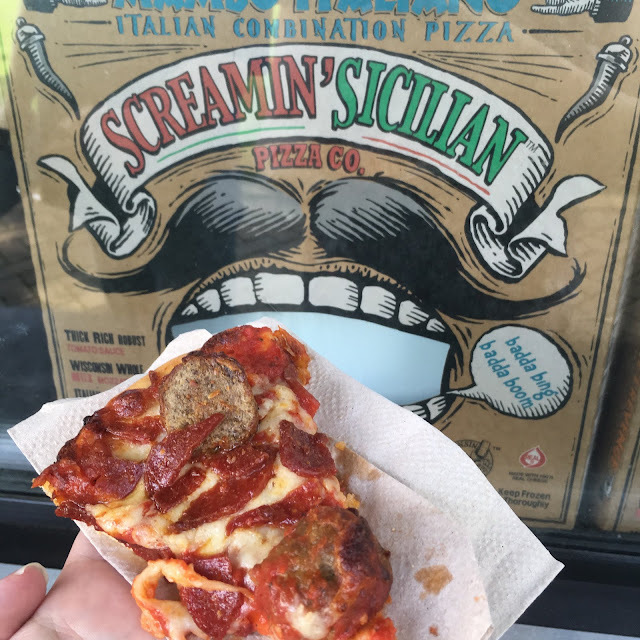 But, I recently tried out some Screamin' Sicilian Italian Combination Pizza and this is one that I would definitely buy. I had a sample as we visited the Homewood Hopfest and Screaming' Sicilian had a truck as you entered the event. I really liked the slices of Italian sausage and the generous portions of cheese. 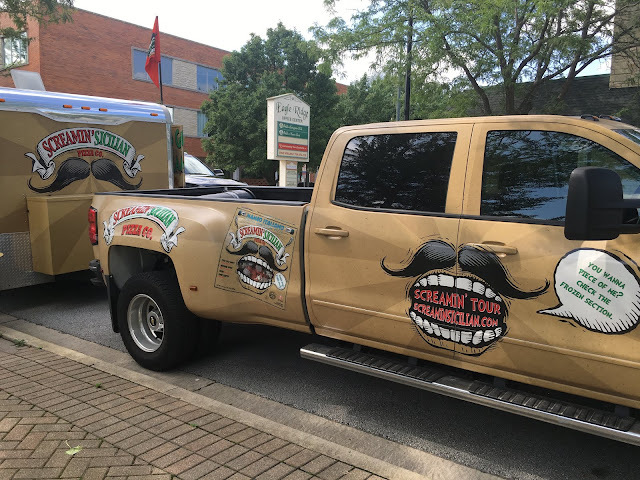 Visit ScreaminSicilian.com for info on where you can find their pizzas. I will try to find out where I can buy one of their pizza's for movie night this coming week-end. Do they have a store in Chicago?